Setting off to Africa, and then to Europe and Asia via the Trans-Siberian Railway, he initiates a journey to revitalize his energy and passion. Even so, he never expects to meet Hilal. 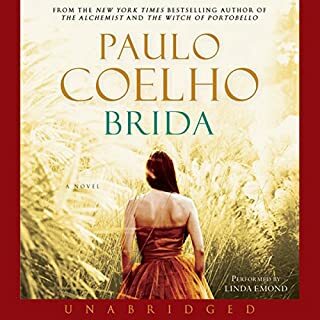 A gifted young violinist, she is the woman Paulo loved five hundred years before - and the woman he betrayed in an act of cowardice so far-reaching that it prevents him from finding real happiness in this life. Together they will initiate a mystical voyage through time and space, traveling a path that teaches love, forgiveness, and the courage to overcome life’s inevitable challenges. Beautiful and inspiring, Aleph invites us to consider the meaning of our own personal journeys: Are we where we want to be, doing what we want to do? 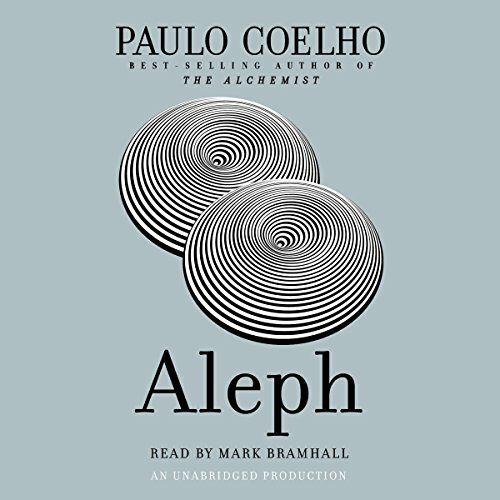 While reincarnation is not a subject that usually draws me in, I really enjoyed listening to Aleph, my first Coelho novel. I had to keep reminding myself it was a novel and not the author's true story. Characters were well-developed and their motivations fascinated me. Settings were described in a particularly visual manner, and I could picture this book as a movie playing in my mind. Not sure why Aleph was so compelling, but I thought about it often when not actually listening to it. Narration was excellent, too. if the author or someone really good, narrate this story. The storyline is amazing the journey in Aleph. The narrator was making voices to change characters and he tried to make some accents too. This was very bad attempt from him. Plus, there wasn't any energy. 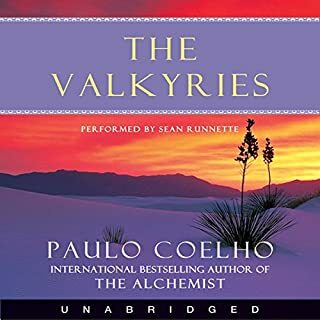 the performance of the Alchemist was way better and that person might be appropriate for this book too. Wonderful book. Can't believe it was 100% autobiographical. I have studied the reincarnation work of psychiatrist Ian Stevenston and it just made Paulo's story all the more enjoyable. Aleph is an incredibly moving story, an accounting of a man who is wise and deep enough to know that this is not the only lifetime his soul has encountered. This applies to so many people: seemingly having it all, yet something deep inside aches to be searched and healed. The strong connections we have with people in this lifetime, is often so mysterious, even with applying all that our Ego has to give us. 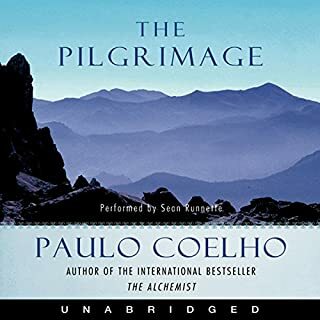 In this spiritual quest, Paulo does it again: he takes us on a very personal and meaningful journey, not just for himself, but for humanity at large. We can have the deepest arousal for another person, and practice love that is untouched by the ravishing ego. 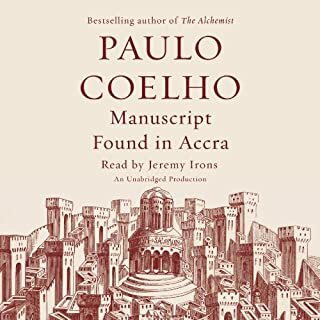 Another incredible masterpiece by Paolo Coelho - thank you! 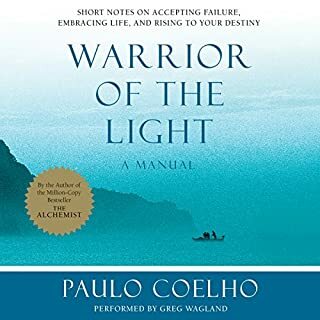 Im a Paulo Coeljo fan! I always find a hidden message from Paulo Coelho that feels that it was written specifically for me. This book was not the same as previous ones. I find his other books more entrancing than this one. At the beginning i almost lost interest, and the narrative seems to have changed a bit towards the end. However, his work is always exquisite and I am glad i pushed thru to the end. This book is worth reading, or better said listening to. Most amazing book!!! I absolutely loved it. Paulo is an awesome writer. Best of his time. 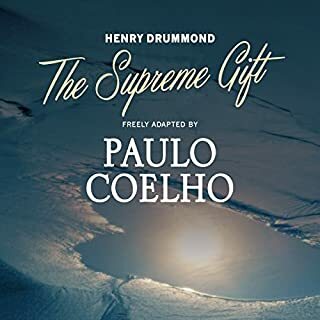 Paulo Coelho share's the gift of his life and all it's humanity a step further with his latest autobiographical piece. Rich in wisdom, dedication to the inner journey and living for the sake of the truth whatever it turns out to be...feeling gratitude for his continued willingness to share so candidly. Mark Bramhall does a marvelous job reading...excellent! I love Paulo Coelho! I love his stories and his books and this one was a shocker. It exposed reality in a way I could comfortable identify with. It's a good, entertaining story (note that there is a sudden change in narrator towards the end of the book).